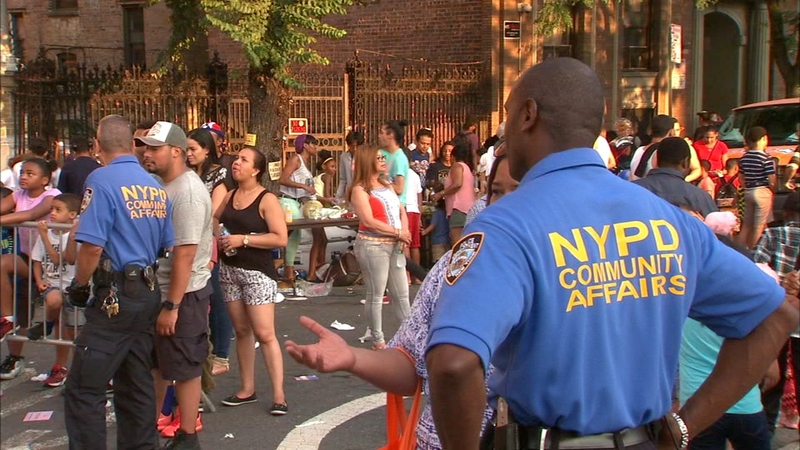 NEW YORK (WABC) -- Tuesday is the NYPD's National Night Out Against Crime event. At more than 70 locations citywide, officers and city officials are hosting barbeques and other fun activities. The annual event was designed to promote police-community relationships throughout New York City. Mayor Bill de Blasio and Police Commissioner James O'Neill are expected to visit locations in all five boroughs. Their visits are expected to include an area in the Bronx near the bodega where innocent 15-year-old Lesandro "Junior" Guzman-Feliz was brutally murdered.